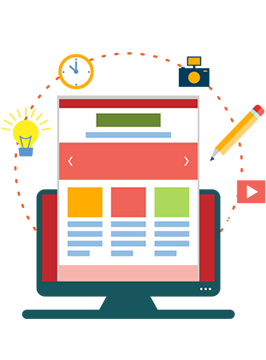 We deliver responsive and highly functional Web Solutions to our valued clients with high solution maintainability, proactive communication and on time delivery. Our Content Management feature puts the control of publishing and managing content right in your hands. Our E-Commerce ships with Shopping Cart, Delivery Mgt., Order Mgt, Online Payment, Stock Mgt., Customer Mgt., etc. Create and Publish News Items, Newsletters and your Media Content from one interface. Allow your Customers share their comment and views on key issues. Use the Interactive platform to interface with Customers, realtime. Collect feedback from your Customers using the interactive forms. We integrate other custom features to enhance the visitor experience. Our Apps provide a unique User experience to allow your customers easily navigate to experience the features and functions. We give your customers the waow effect !